What is better than pretzels dunked in chocolate??? When there is something yummy stuffed inside! 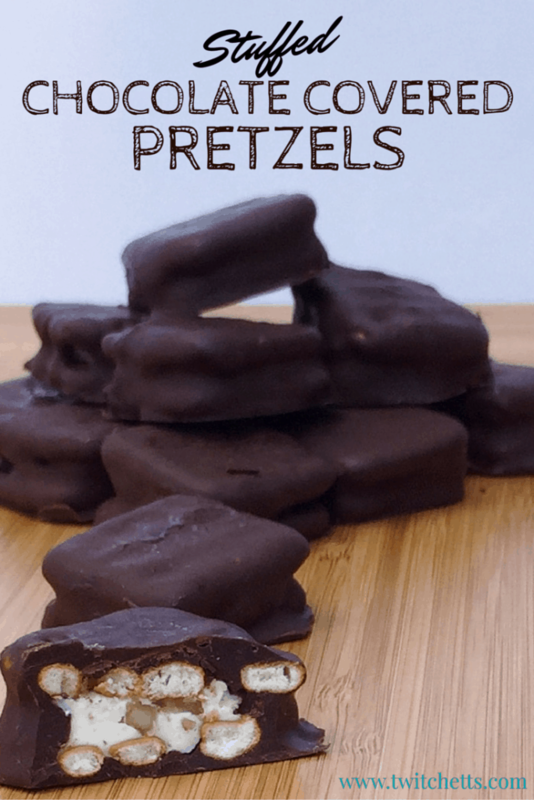 You can whip up a batch of these stuffed chocolate covered pretzels in minutes and that’s about how long they will last in your house! 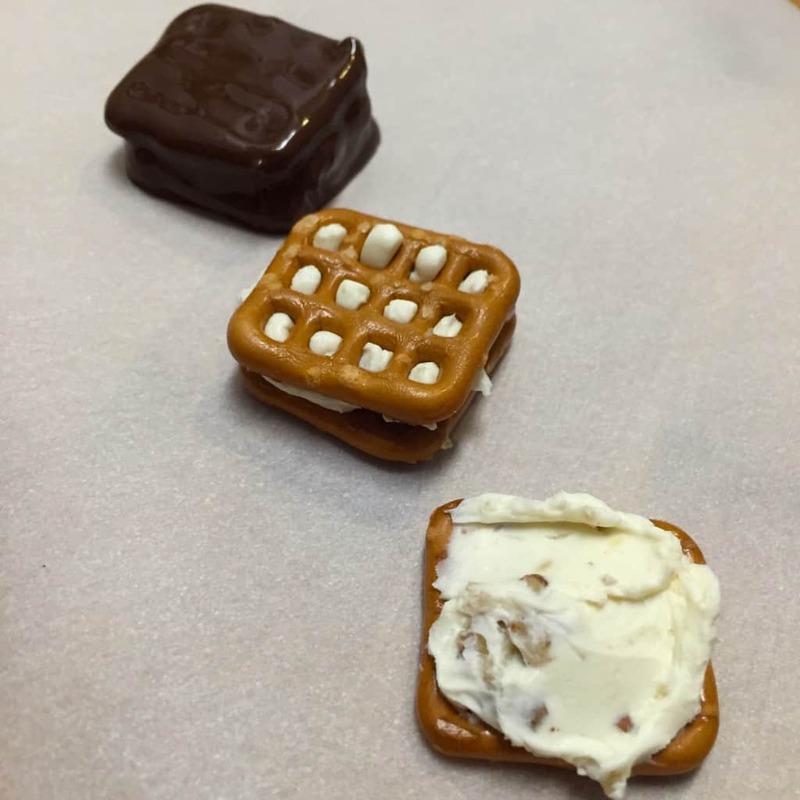 One of my go-to lunchbox dishes for J are these little cream cheese pretzel sandwiches. Well, one morning while I was slapping together a few of these bad boys I had an aha moment… These would be great covered in chocolate!!! I happened to have some pecans laying around so I decided to add them in there too. These flavors are a match made in heaven! Pretzel Snaps… ya that is what they are called. The little window shaped ones. Start by finely chopping your pecans and folding them into your cream cheese. Smear cream cheese mixture on one pretzel and top with another creating a pretzel sandwich. This is how I pack them in J’s lunch. Then dip in melted chocolate chips. A fork works best for this. Put on a tray in the fridge so the chocolate sets. 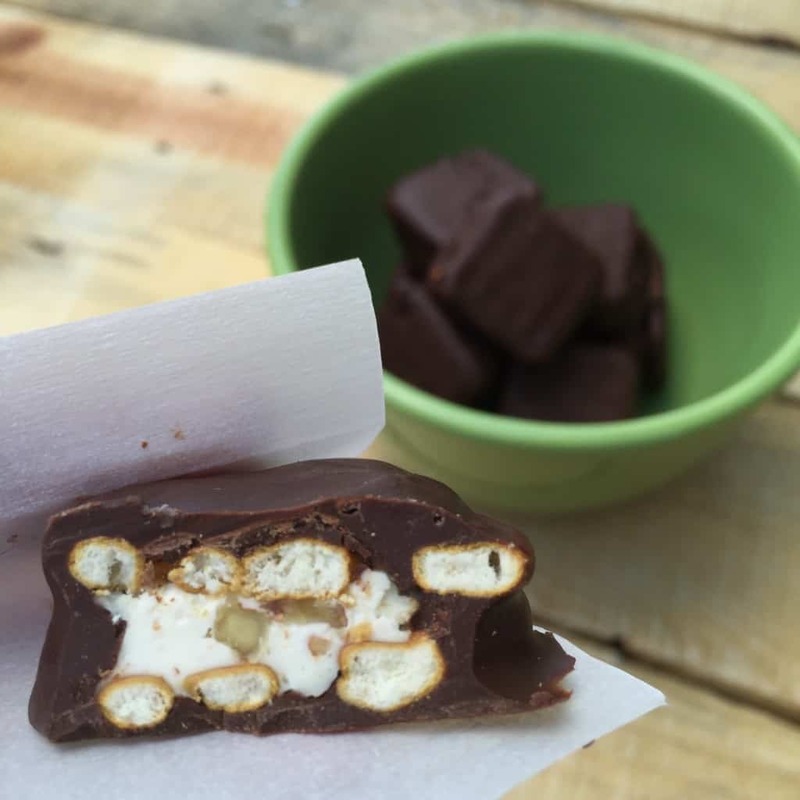 If you have any leftover stuffed chocolate covered pretzels store them in the fridge! You can mix this up any way you like! Try stuffing them with peanut butter… or make them with white chocolate and sprinkles for any holiday or an extra special treat. This is a great snack to let the little ones help with too. Any time the kiddos can help in the kitchen is a bonus! 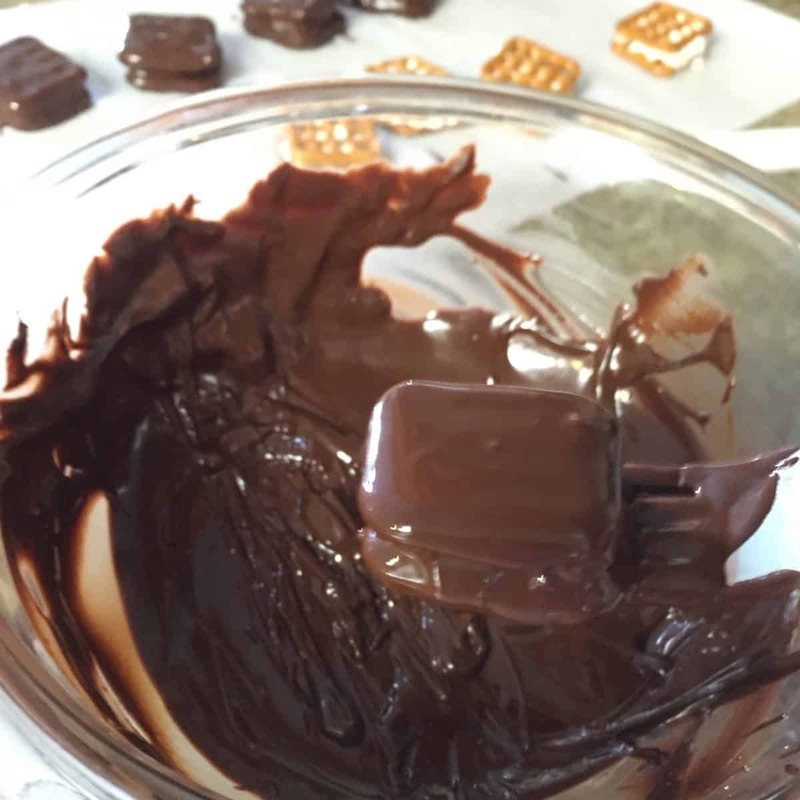 Yes, I know I didn’t give any measurements… You can make 1-100 of these, it is definitely a food muse! Ok…I’m trying these with the dark chocolate in my pantry! Yum! !